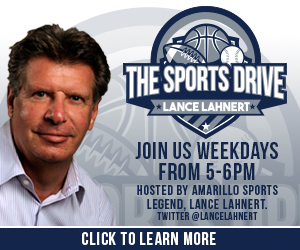 The Sports Drive is a local and live sports talk show hosted by Lance Lahnert sports writer at the Amarillo Globe-News. Join Lance on your weekday drive home from 5-6pm for compelling sports talk about subjects that matter to you. Call in your comments to Lance at 806-3500-710.